From an art installation to an interesting suite of works on paper. (SPOT.ph) We've all witnessed the shift that the local art scene has undergone in recent years, as it has consistently gathered momentum and attracted a more mainstream audience. The question now: How do you keep that momentum going? By continuing to go out there to appreciate art, for one thing. 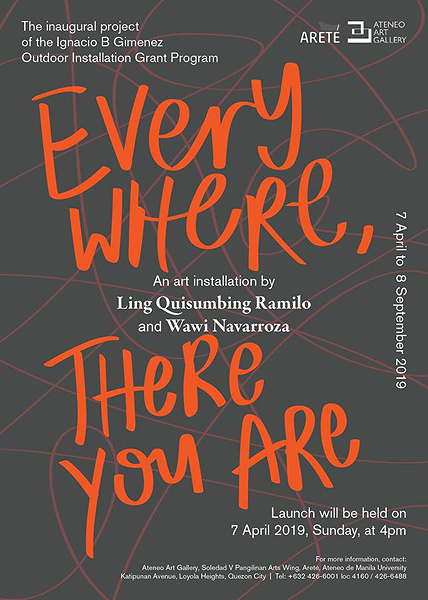 Christina Quisumbing Ramilo and Wawi Navarroza recreate their Malasimbo Art and Music installation project titled "Everywhere, There You Are" at the Ateneo Art Gallery. The walk-through installation features fishing nets and strips of fluorescent orange fabric, where the panels create segments of kinetic wall interacting with the multi-directional flow of the wind. 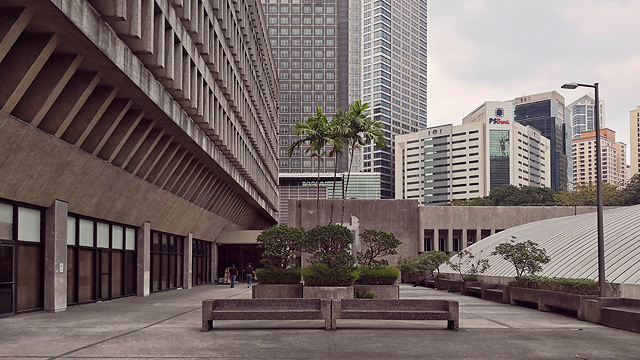 This also marks the launch of Ateneo de Manila University’s Ignacio B. Gimenez Outdoor Installation Grant Program, a new program focused on outdoor installation projects at Areté. Runs until September 8 at Ateneo Art Gallery, Arts Wing, Areté, Ateneo de Manila University, Katipunan Avenue, Loyola Heights, Quezon City. For more information, visit Ateneo Art Gallery’s website. 2011 Shell National Students Art Competition and Vision Petron National Art Competition awardee Dale Erispe often uses landscapes to initiate dialogues about man’s place in nature, and to show how humanity constantly tries to conquer the natural world. 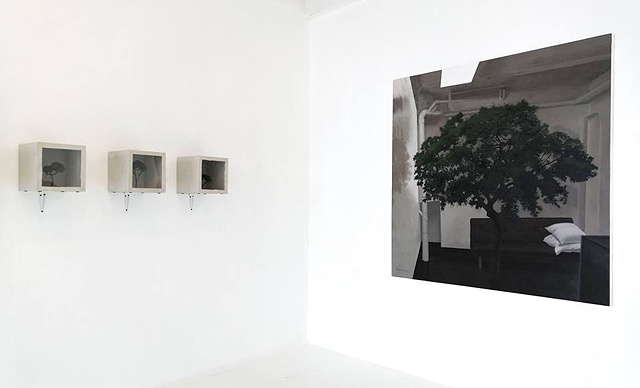 In Concrete Nest, he fills Blanc Gallery with miniature trees bound by concrete walls to show that this fight for power is not really doing us any good. Runs until April 27 at Blanc Gallery, 145 Katipunan Avenue, St. Ignatius Village, Quezon City. 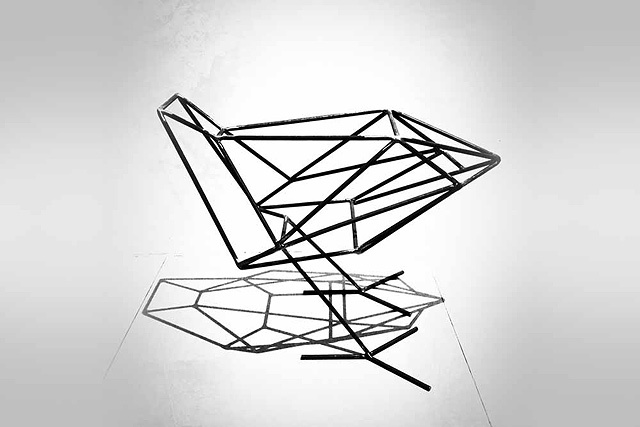 For more information, visit Blanc Gallery’s website. 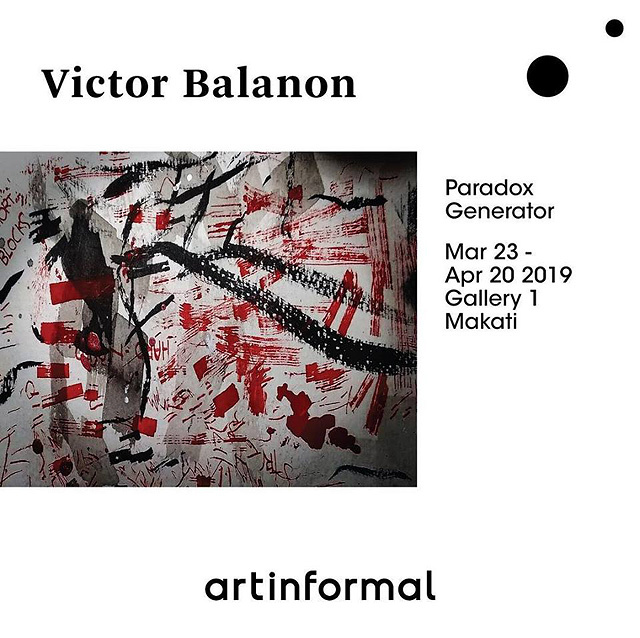 Victor Balanon is a self-taught artist known for his experiments on image production, often using pen and ink on subjects derived from literature, graphic novels, film, and even critical theory. In Paradox Generator, he presents a new suite of works that showcase his mastery of various media: India ink, Stonehenge paper, charcoal, and even correction fluid. 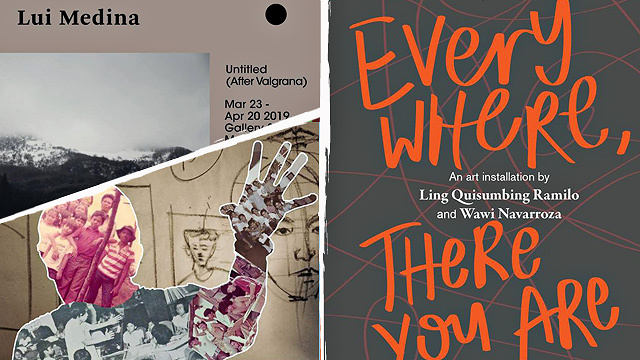 Runs until April 20 at ArtInformal Greenhills, 277 Connecticut Street, Mandaluyong City. For more information, visit ArtInformal’s website. In A Dream in the Midst of Chaos, artists Mig Salazar and Alfred Capiral ask: “Are Filipinos dreaming enough?” The two-man exhibition talks about the dream of unity and peace in our country by creating a visual commentary that not only promotes Filipino culture but also inspires young minds to dream again. 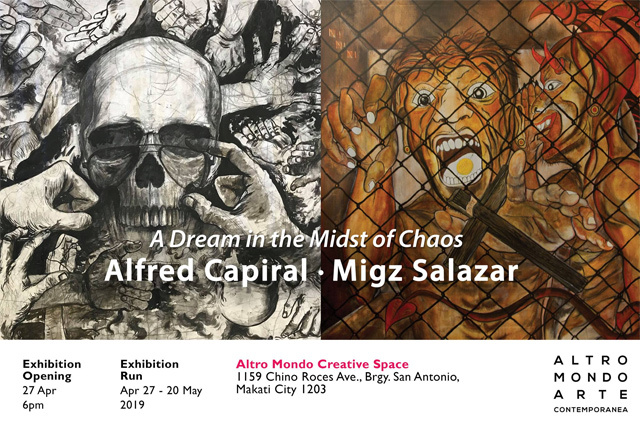 Runs from April 27 to May 20 at Altro Mondo Creative Space, 1159 Chino Roces Avenue, San Antonio, Makati City. For more information, visit Altro Mondo’s website. Visual artist Lui Gonzales explores the fleetingness of memory and how our recollection of events are often changing and indistinct. Using layers of torn paper, she presents bits of occurrences and snapshots of episodes that were once part of a larger experience. 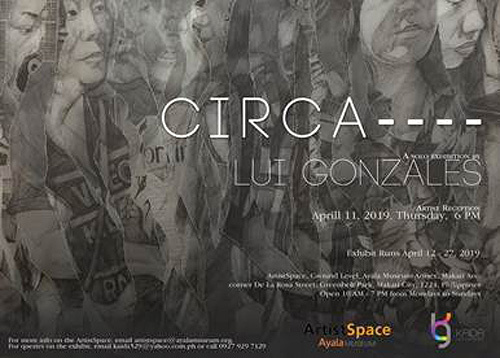 Runs until April 27 at ArtistSpace, G/F Ayala Museum, Makati Avenue corner Dela Rosa Street, Greenbelt Park, Ayala Center, Makati. For more information, visit Ayala Museum’s website. 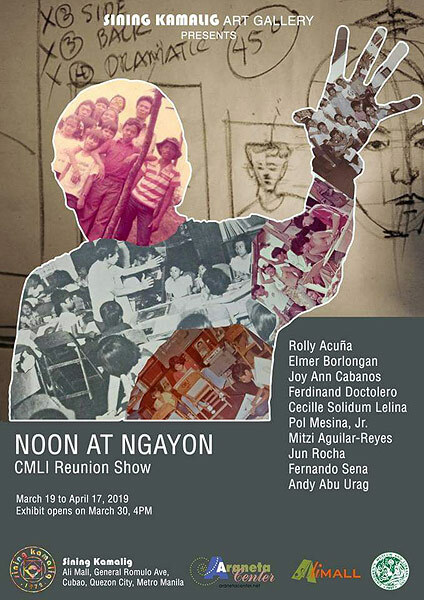 Noon at Ngayon gathers old and recent works by Fernando Sena, Elmer Borlongan, Jun Rocha, Joy Ann Cabanos, Cecille Solidum Lelina, Ferdinand Doctolero, Pol Mesina Jr., Mitzi Aguilar-Reyes, Andy Abu Urag and Rolly Acuña. All of them were once participants in free summer art workshops that have been organized annually by the Children's Museum and Library, Inc. since 1957. The exhibition looks back on each of these now-renowned artists’ humble beginnings. Runs until April 17 at Sining Kamalig, Ali Mall, General Romulo Avenue, Cubao, Quezon City. For more information, follow Sining Kamalig on Facebook. 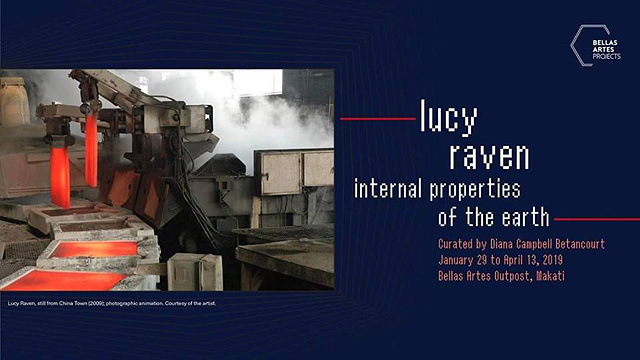 American artist Lucy Raven presents videos and photographs that she took for 10 years in her journeys across China, India, the Philippines, and the United States. It also debuts a new photo series titled “Fire and Mud,” which draws inspiration from the 1991 Pinatubo eruption and the subsequent evacuation of nearby Clark Air Force Base. Runs until April 13 at the Bellas Artes Outpost, Karrivin Plaza, 2316 Chino Roces Avenue, Makati City. For more information, visit Bellas Artes Outpost's website. Jinggoy Buensuceso, in his show The 9th Day of Creation, uses compositions of powder-coated metal pieces to depict God’s journey to perfection. Among the important works on display is titled “What If God is Pink?,” which is an abstract piece made of stained glass that showcases his expertise in metalworks and welding. 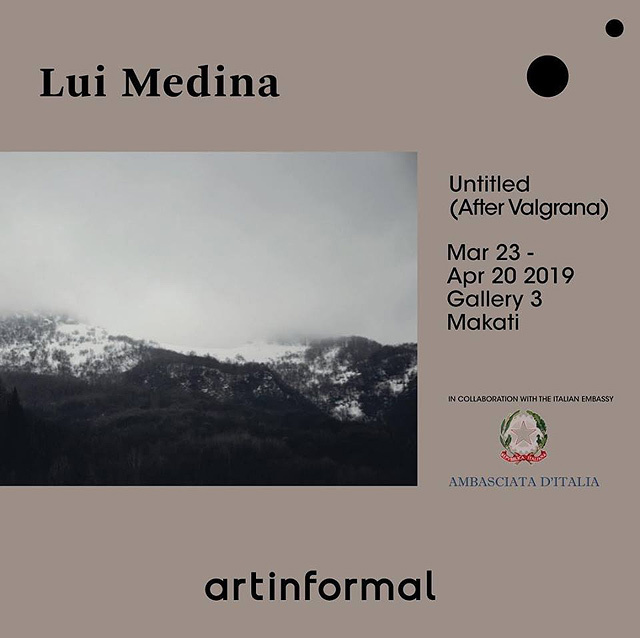 In her show, Lui Medina uses landscape not only as a subject matter but as a framework for questioning what we know about borders and landmarks. She explores how huge spaces can become a smaller piece of land and, ironically, how islands can become sprawling territories. Thirteen artists try to challenge prohibitions that are present in virtually all societies in City of Bawal. The exhibition asks: In a world bound by rules, who dictates what’s right and what’s not? Is there really a “correct” way to make and appreciate art? 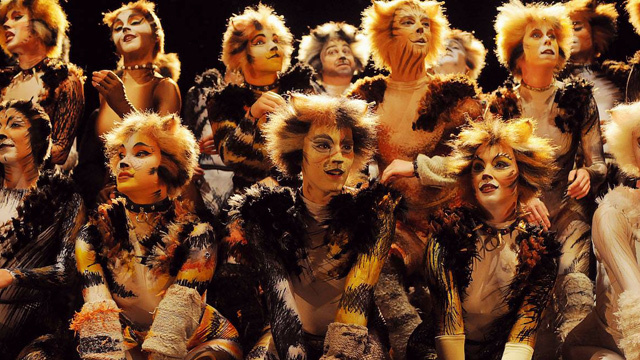 Runs from April 27 to June 8 at 1335Mabini, C1B Karrivin Plaza, 2316 Chino Roces Avenue Extension, Makati City. For more information, visit 1335Mabini's website.